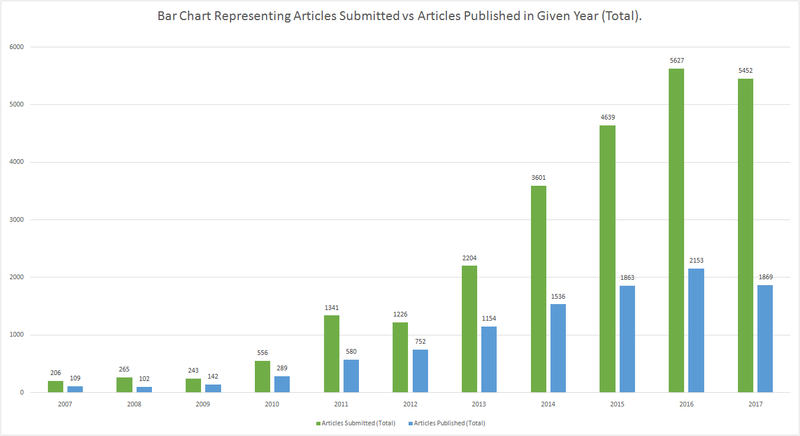 The green bars represents the total number of submitted articles in a given year and the blue bars represent the total articles published out of these. 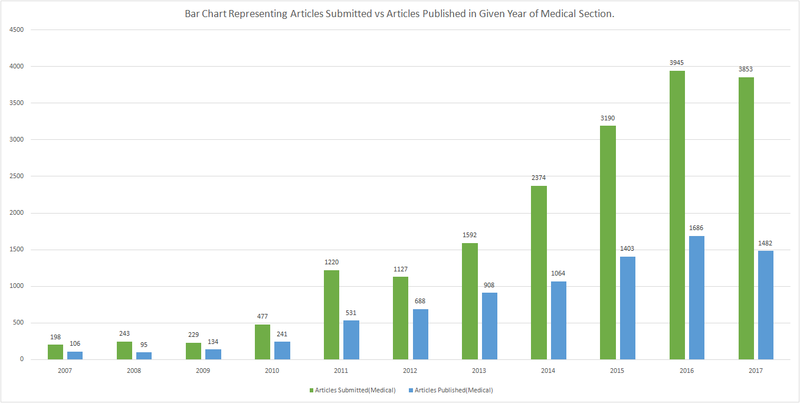 The green bars represents the number of submitted articles in a given year and the blue bars represent the articles published out of these in the medical section. 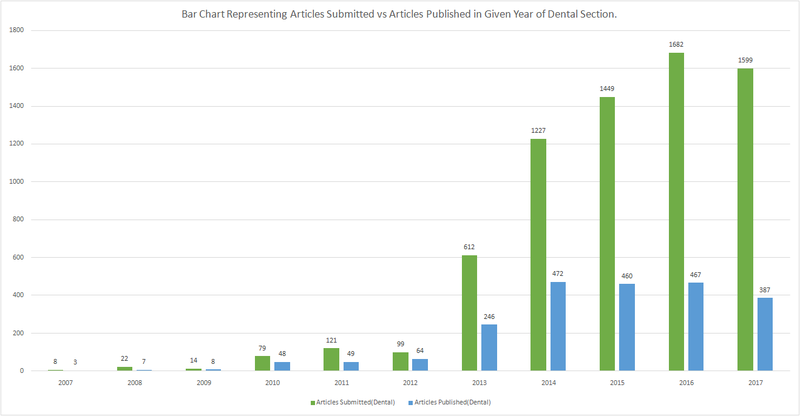 The green bars represents the number of submitted articles in a given year and the blue bars represent the articles published out of these in the dental section. 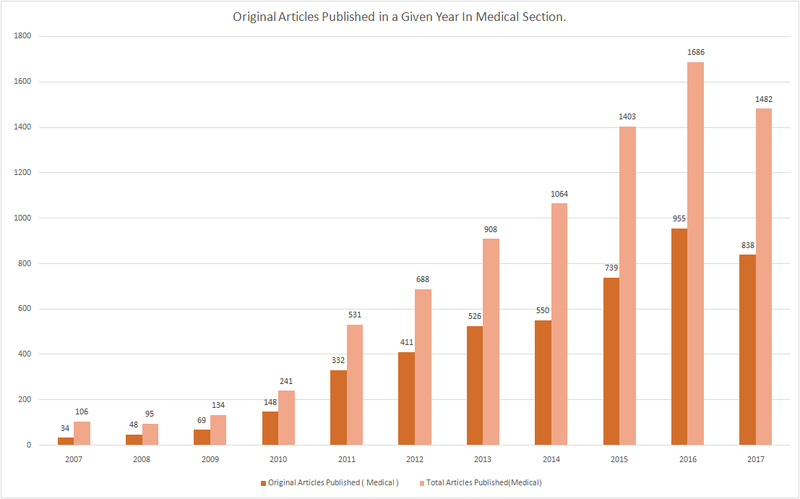 This shows the original articles published as a subset of total articles published in the medical section for the manuscript which was submitted in the year mentioned. 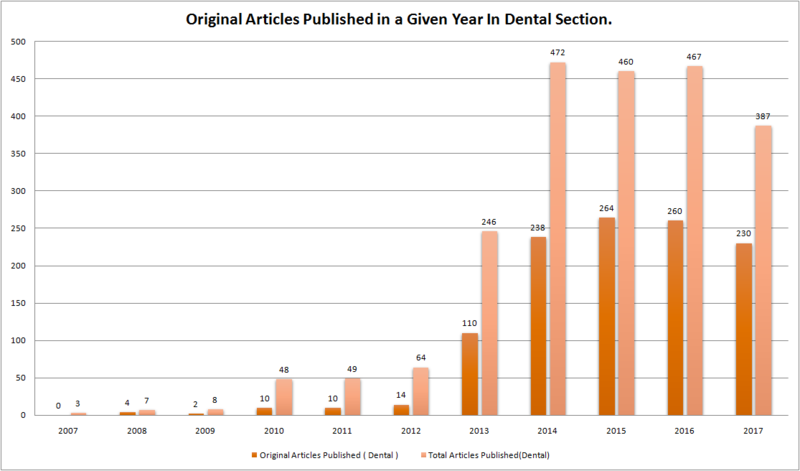 This shows the original articles published as a subset of total articles published in the dental section for the manuscript which was submitted in the year mentioned.